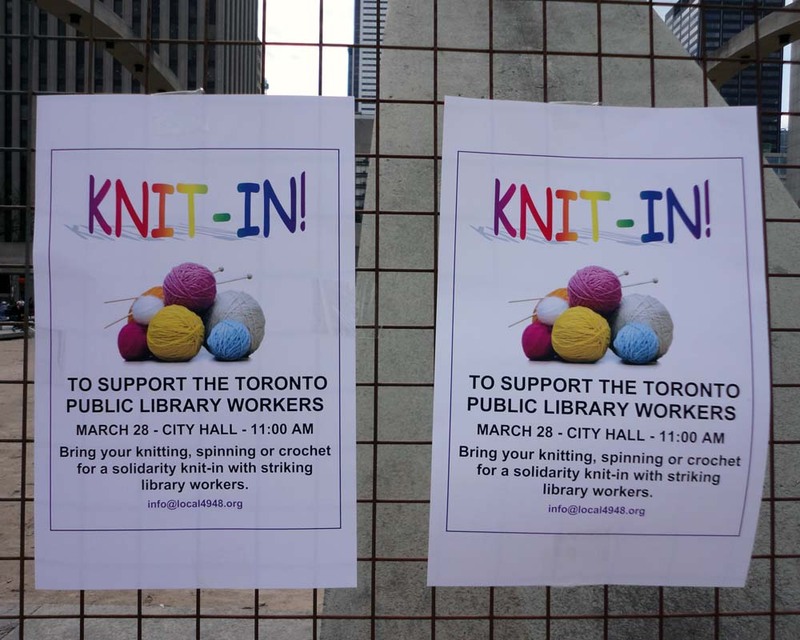 A Knit-In was held to support striking #Toronto Library workers at City Hall. People were asked to bring knitting, spinning or crochet materials for solidarity knit-it and while many sat on the cold concrete and did a few knits and pearls, there was even some that walked the strike circle, knitting as they went round and round. 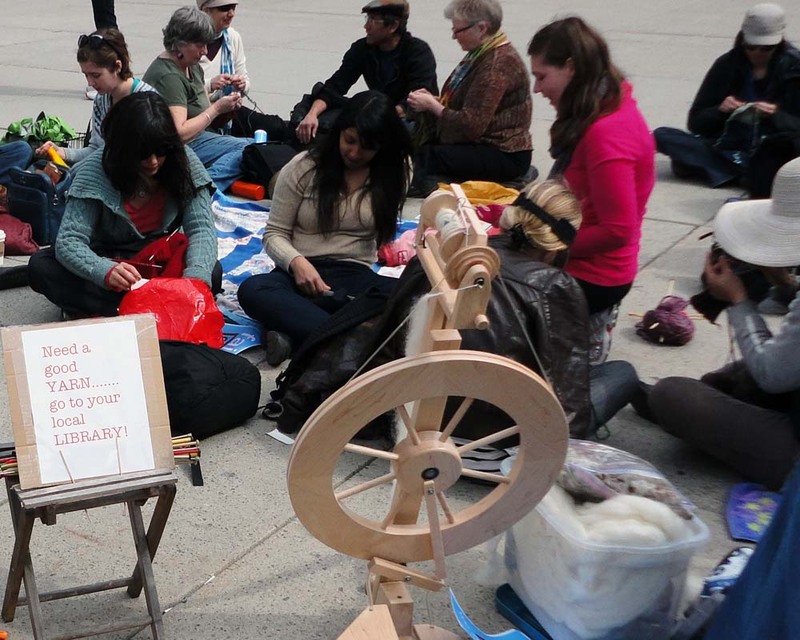 The strike continues into the middle of it’s second week and the knit-in started at 11am on Wednesday, March 28, 2012. It is getting too warm for wool hats so they must be knitting their own wool strike signs, and if things get rough, woolen baseball bats. 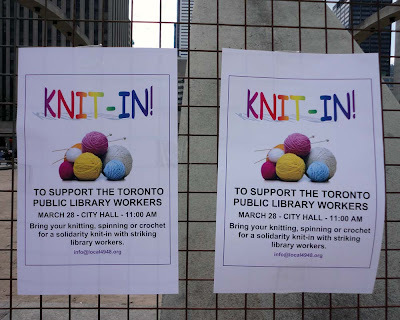 I cannot remember any other strike which included a knit-in. 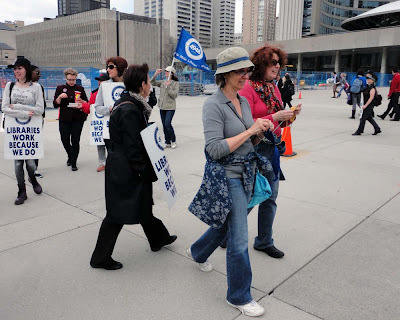 Usually there are road blocks, lines of cars, strikers talking to the people they delay as they try to get their message out. 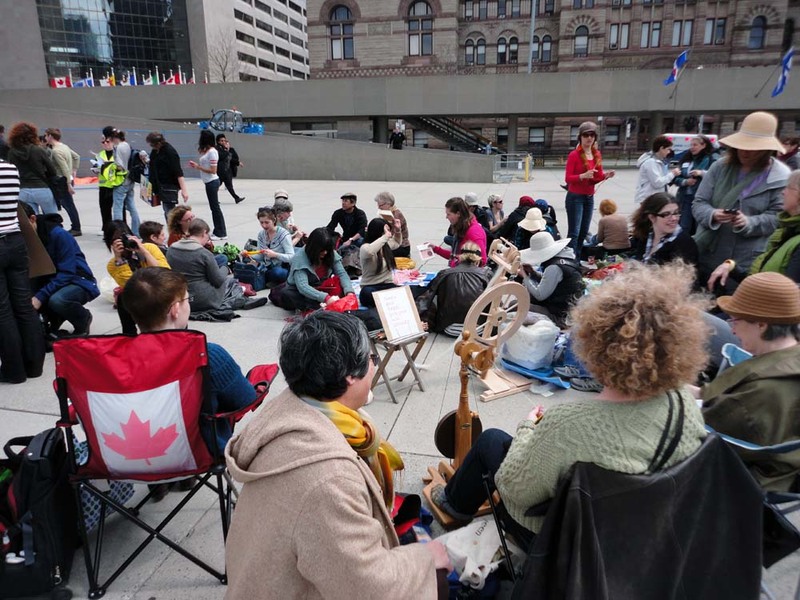 Many times they huddle over a barrel filled with flaming wooden pallets. 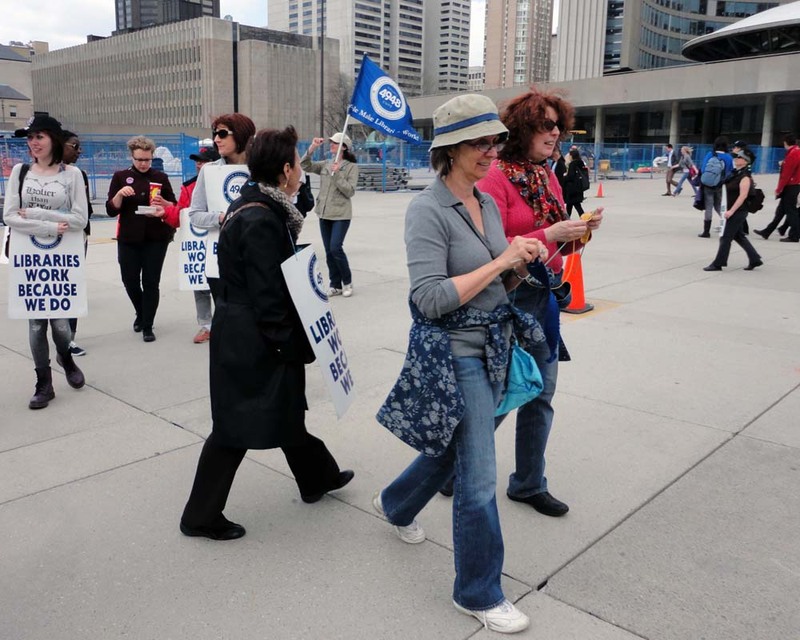 They don’t have to worry about people crossing the picket line, trying to read books and magazines, as the city has closed all locations and branches of the municipal library system.